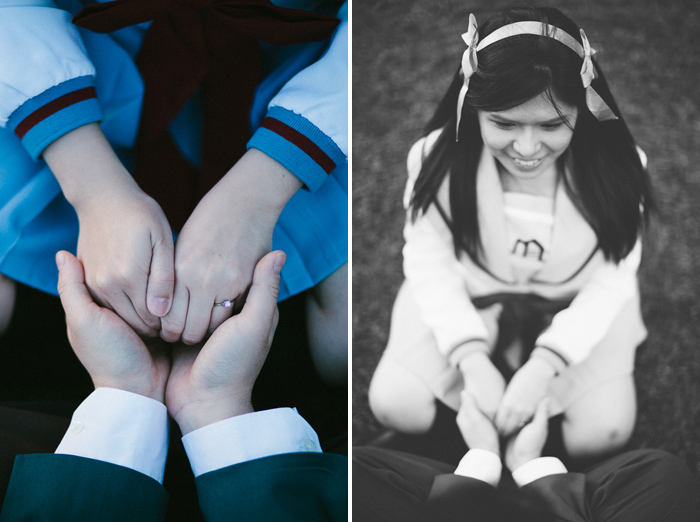 I was so excited when Kristina told me that they had a themed idea for their engagement shoot! 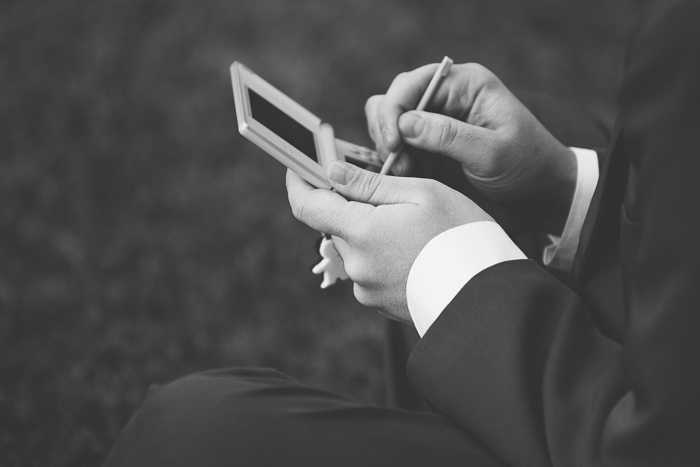 Once she had worked out the nuts and bolts of it, she was to email through her grand plan and we would make it happen. 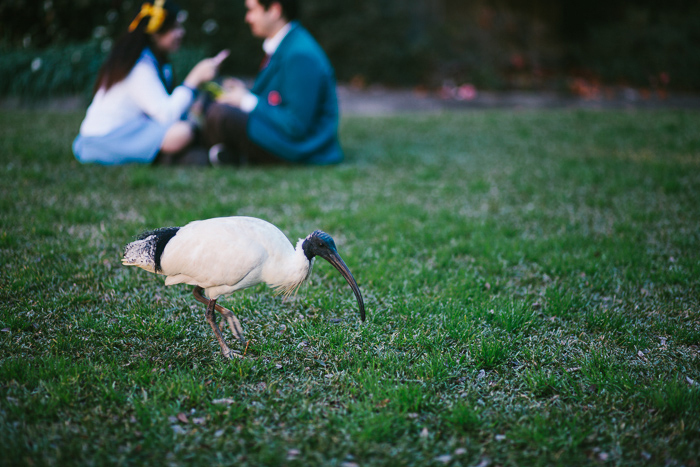 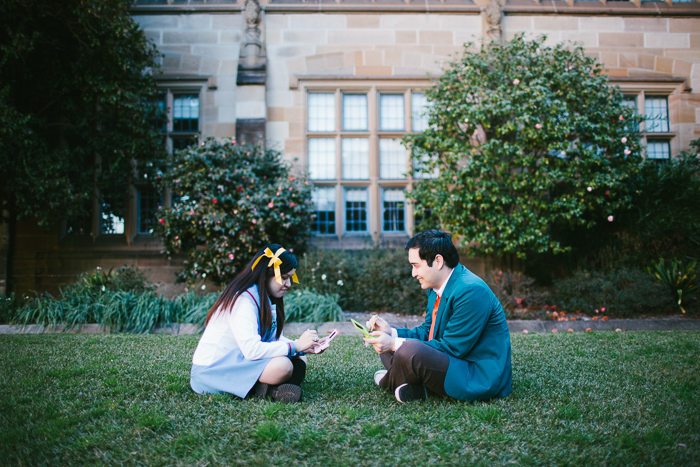 The entire cartoon series is set in a school setting, so I met them at the most academic place I could think of – the stunning grounds of the University of Sydney. 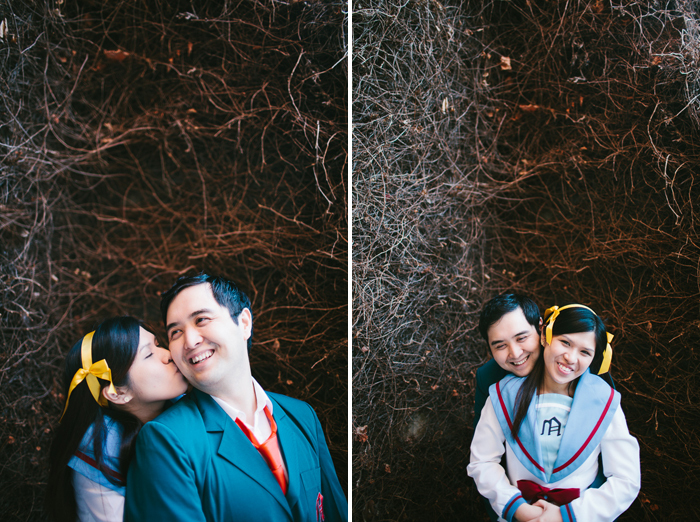 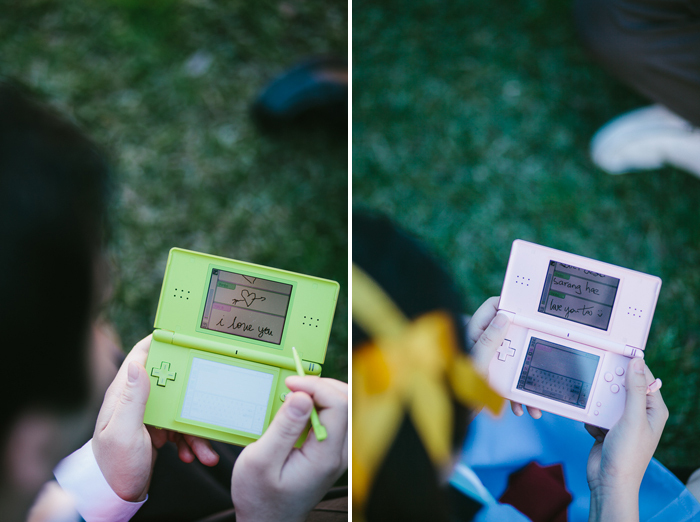 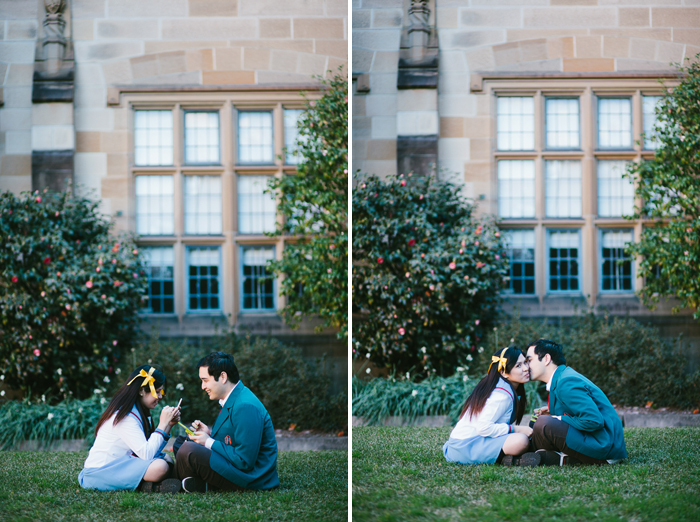 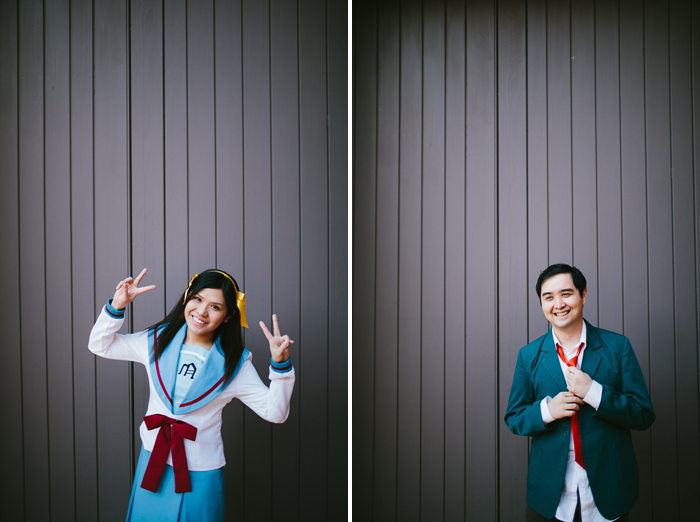 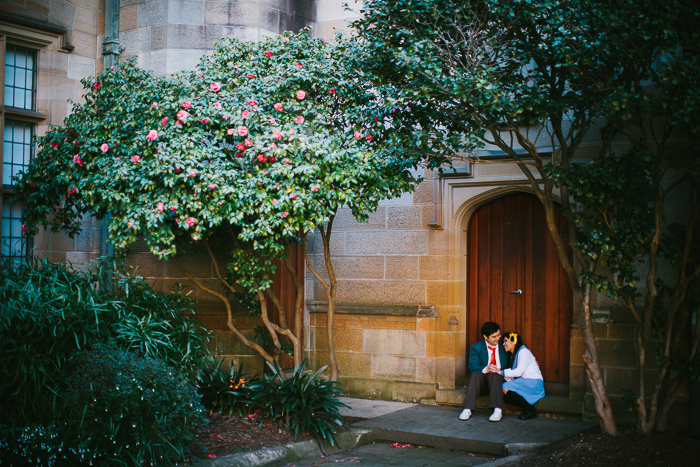 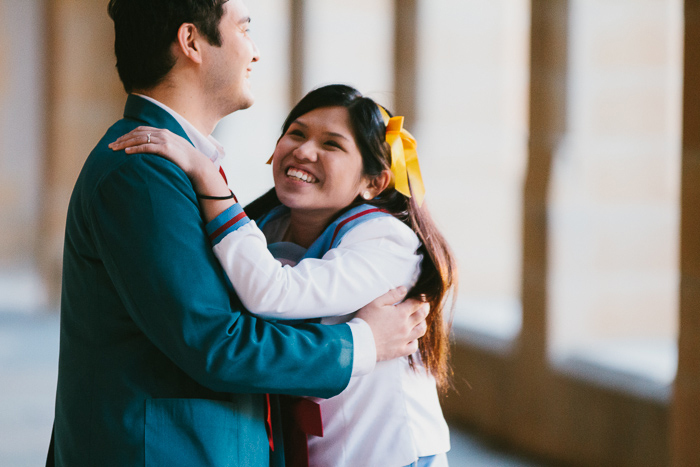 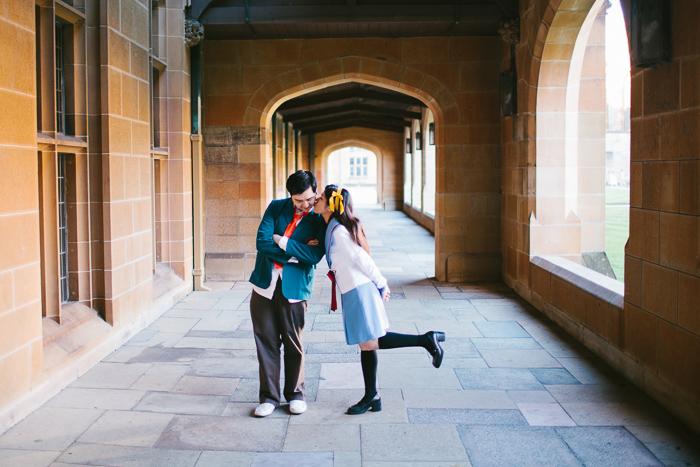 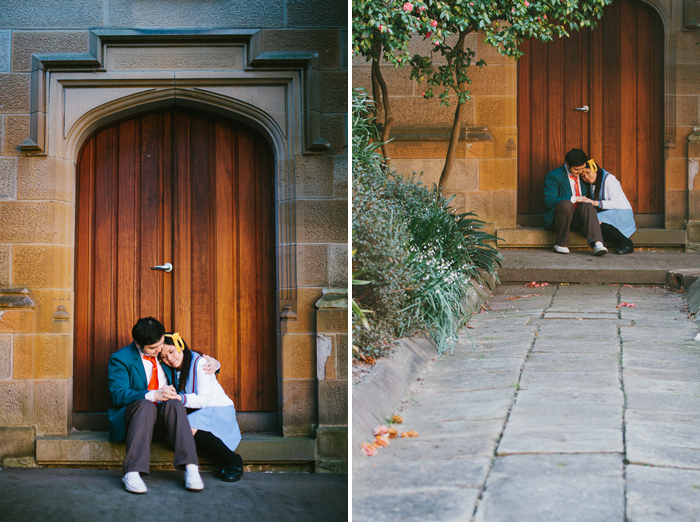 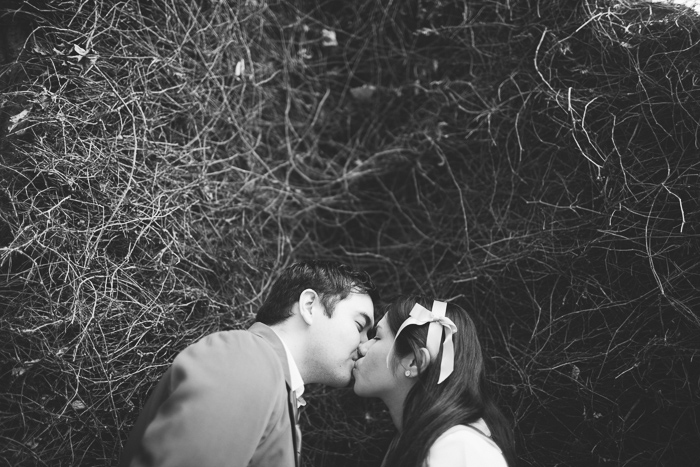 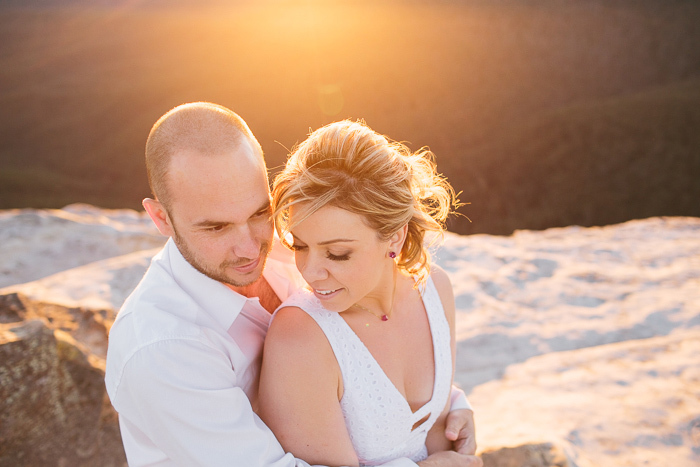 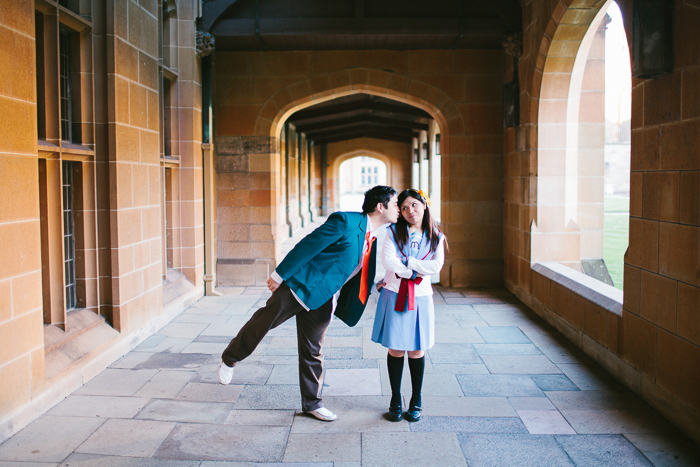 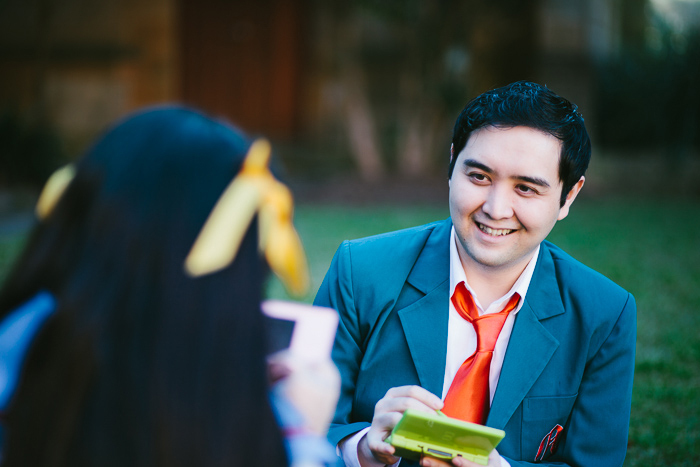 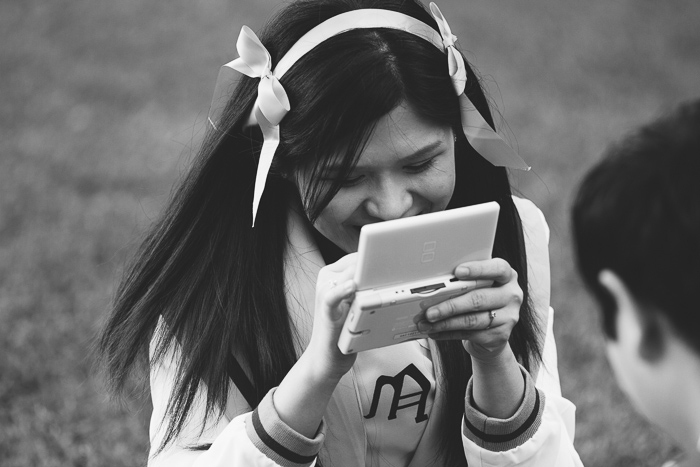 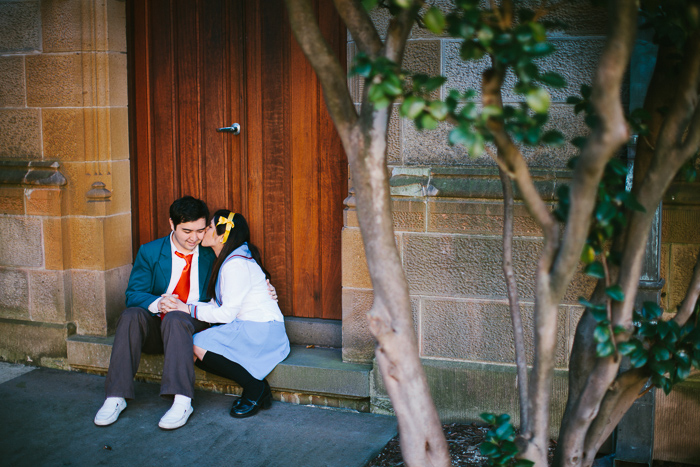 Their anime-themed engagement session was recently featured on Poptastic Bride. 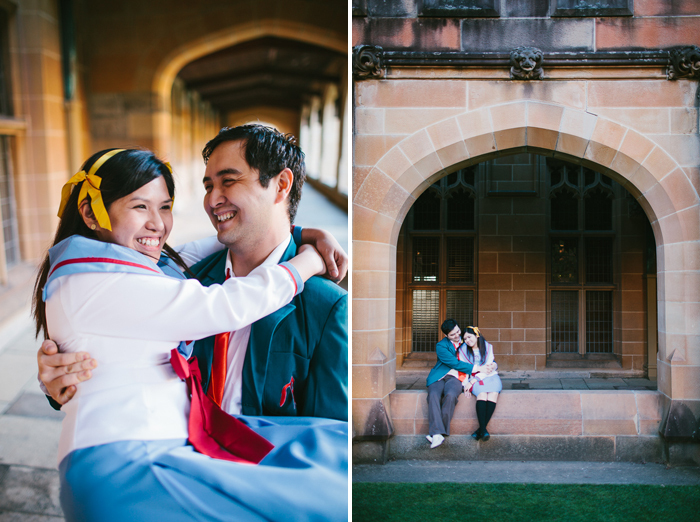 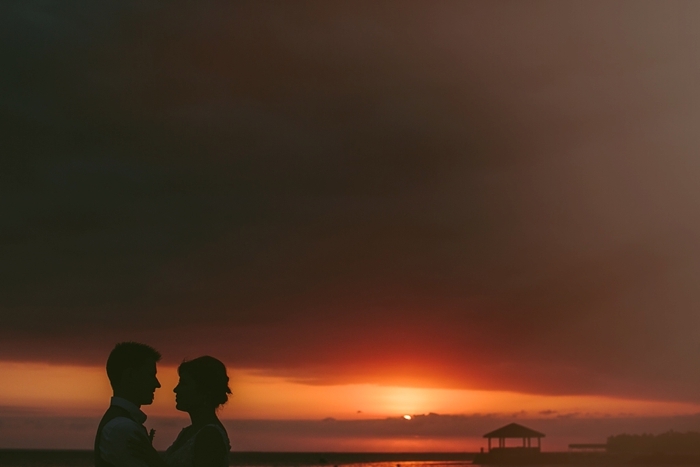 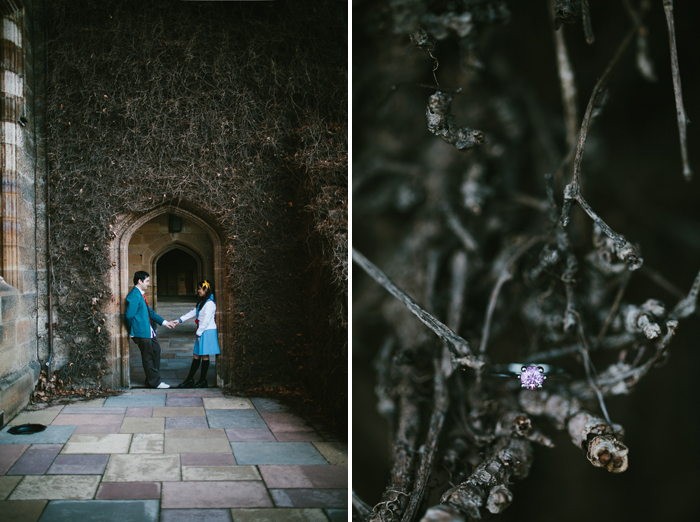 Do you have any cool ideas for your own engagement or wedding shoot? 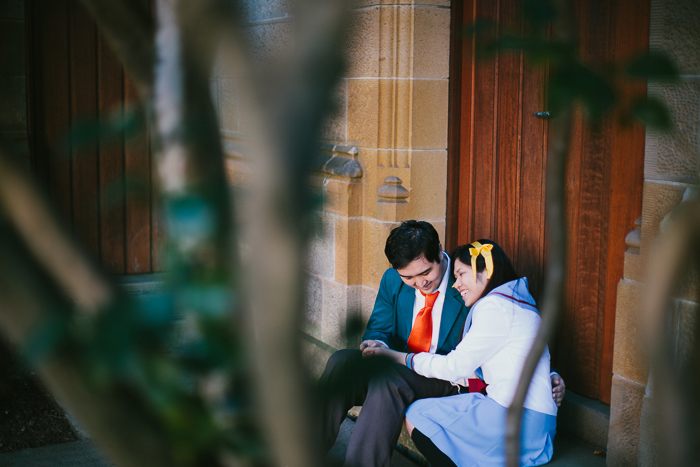 I want to hear them! 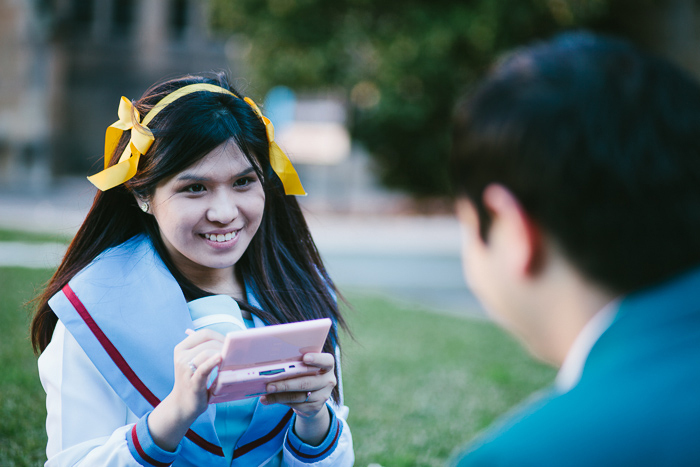 I want to help you make them a reality!